I have a collection of film cameras that I enjoy greatly. I have them all around my office, on shelves, in bookcases, on windowsills and in boxes. I like looking at them almost as much as I enjoy shooting them. The only thing that gives me greater pleasure is photography books. Most people believe that photographs are made to be taken and hung up on a wall however I disagree. 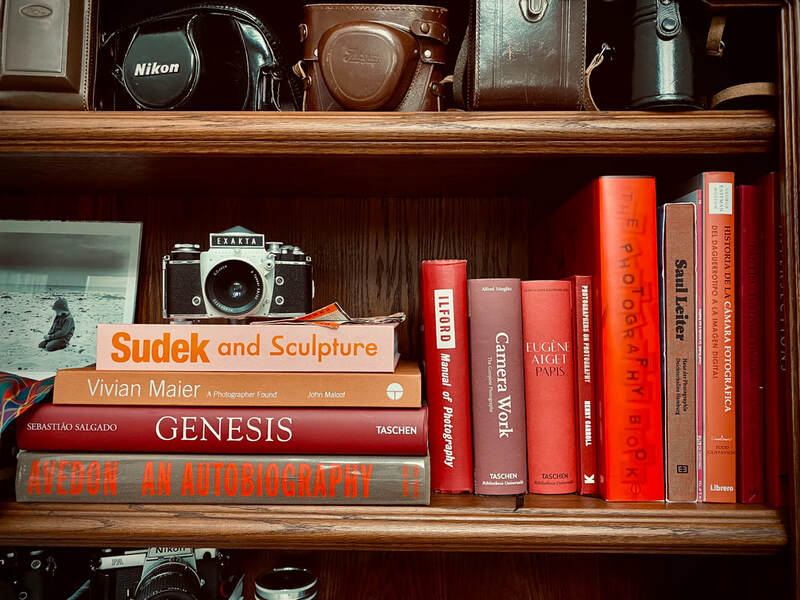 Unlike a painting which has historically been hung in wonderful frames and put on a wall, photography is something that was made to put in books. Either family photo albums or proper photography books. A single photo hung on a wall tells you nothing of the person who took it. A photography book, well arranged can speak volumes of the photographer. I collect photography books as avidly as I do cameras. On a rainy day I love sitting with a bit of tea and look through one of my books, with the pale natural light coming in through the window. I thought I would share some of my favorite books here. Have a look and pick up a book or two..you might be inspired.